It is an independent organization run by a team of experts who have got an expertise in this field of automotive. Our expert teams of people are always ready to drop into your place, once you show your interest to sell my car for cash or as per desire. The entire working procedure is conducted in a quite transparent manner. We make it a point to work and attain confidence of all our customers. Sell My Car make sure that the price paid matches with the expectation level of all the customers. Even the whole inspection process is handled at our own cost. No, surcharge or any nominal admin fee is imposed on the customers. Our company primarily works with the objective of providing a better customer service to all the people. Ignoring the profit motive, it is made sure that every customer is satisfied with our services. It is generally said that the Car Removals Brisbane service is quite tough but once you get in touch with us even your conception will be completely removed. Our long-term plan is to make our own brand name in the industry. 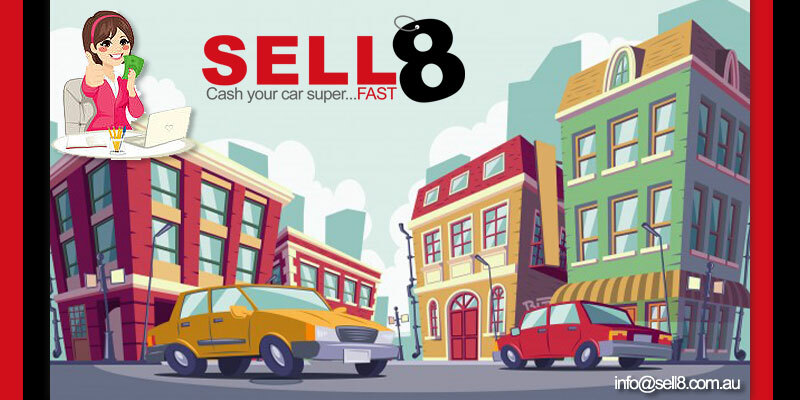 Sell8.com.au do not prefer to make expenses in much advertising campaign. Rather than making unnecessary expenditure on the advertisement, we make sure that the quality of work is improved. Many additional benefits are even provided to all our customers. After getting the products from the people, we send the car to the repairing stores. The whole cost is borne by us. We make sure that when we make the vehicle available from our end to the buyer, it is made available in the best running condition. We have been serving the people in this field since a long period of time. When it comes to experience then our functioning team has got some of the jewels which make the complete procedures exceptional. The work is conducted in a pretty simple way. However, the professional approach is not ignored. It is made sure that the purpose is served and at the same time lengthy and unnecessary methods are ignored. Once the entire deal is made we are able to provide the value for your car in cash or transfer it in your account as per the demand of the customers. If you are ready to collect the money instant cash is being paid. Otherwise, in case the money is to be transferred to accounts our person does not take the keys of the car until the amount is transferred in the account in a secured manner. Our valuations procedures are quite simple and easy. The complete working systems are even transparent. Once you have your interest to get Cash for Cars Brisbane, you need to fill in the application form completely. After getting the applications in full, our professional person develops an idea regarding the valuation. The field executives are appointed from our end to reach your place in no time. They locate your, inspect your car and calculate the optimum price that could be paid for your vehicle. If the agreed price matches with the demand made from the customers, the deal is made. Otherwise, negotiations are even made sometimes, in order to satisfy the customers. Once you avail our service, you could even easily understand what difference Qld Sell My Car have from the other similar service providers of the market.